Would like to introduce George Petrelis, he has been working since 1993 as a professional taxi driver in Plomari. 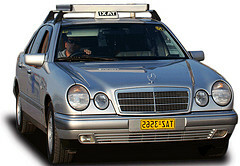 George is an experienced driver and has a good background knowledge of the whole island. 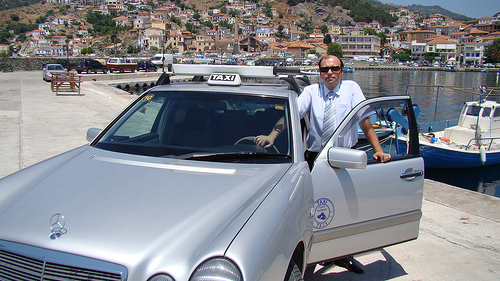 He provides a first rate service and is always ready to take guests on tour around Lesvos. Guests may be taken to the tourist resorts, information centres, archaeological sites and monasteries. Guests arriving by ship or airplane may arrange to be picked up in advance. If you need to make a reservation for airport or ship pick up, fill in the form at the contact page.